Walk with me. I know that we shouldn't, but I like to walk along railroad tracks when I just need to think. Sometimes I walk and think, and sometimes I just walk. Either way, I've always found it restful for my mind. I'm not really going anywhere, I'm just walking. Railroad tracks are quiet and empty places, like alleys. They can be dangerous, of course, but I've never had a problem there. I've walked a lot of railroad tracks. No, not from town to town, but just to walk a bit. I especially like walking on one rail, balancing as I walk. It makes me look at what's right in front of me, some stray paper, some weeds, nothing in particular. Look! We're going past the Advanced Seed Company. So that means that we're at about 24th Avenue and Madison. It's 1945 so there really isn't a lot going on. We're kids, and all of the men of Phoenix are serving overseas. I wonder how long the war will last? And what it's all about? I've heard people saying that it's almost over. Listen to how quiet it is here. It's dirty and dusty, but I really don't mind. Today I feel dirty and dusty. Off in the distance I can hear some voices. I think that there are people working in that building. Old men, and women I guess. I just heard a dog bark. Now I can feel the rails shaking. A train is coming, let's walk over to the building and watch it go by. Thank you for walking with me today. 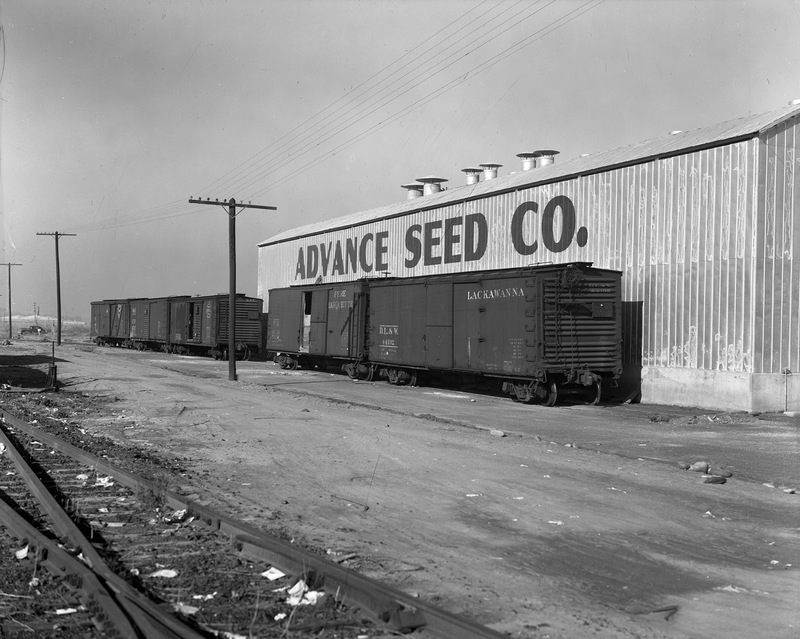 Image at the top of this post: The railroad tracks behind Advanced Seed Company in 1945, near 24th Avenue and Madison, Phoenix, Arizona.